This leech with a single jaw, gigantic teeth and a name — specifically, Tyrannobdella rex —ranks as one of the top 10 new species discovered in 2010. It was found attached to the nasal passage of a little girl in Peru. The annual list highlights the strangest, weirdest and wackiest species discovered each year. and serves as a reminder of how little is actually known about the world's biodiversity. "A reasonable guess is that 10 million species remain to be described, named, and classified before the diversity and complexity of the biosphere is understood," Quentin Wheeler, director of the International Institute for Species Exploration at Arizona State University, said in a news release. According to the scientists who discovered Tyrannobdella rex, there are 600 to 700 described leeches, yet 10,000 more could be out there. Click ahead to check out the other nine species on the top 10 list from 2010. An iron-oxide consuming bacterium was discovered on so-called rusticles — formation of rust — from the RMS Titanic, the famous steam shipsunk by an iceberg in 1912. The microbe, named Halomonas titanicae, was discovered by a team of scientists from Dalhousie University in Canada and the University of Seville in Spain. Studies show that the bacterium sticks to steel surfaces and creates knoblike mounds or corrosion products that have contributed, along with other microbes, to the deterioration of the Titanic's metal and will eventually lead to the ship's disappearance. Researchers suggest Halomonas titanicae could be useful in the disposal of old ships and oil rigs in the deep ocean. The Louisiana pancake batfish was discovered just prior to the 2010 Gulf of Mexico oil spill, and its entire known range is in the region of the spill. 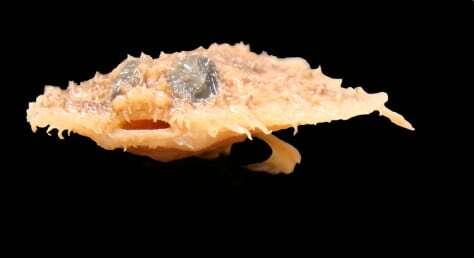 The bottom-dwelling species, named Halieutichthys intermedius, seems to hop on its thick, armlike fins as it moves awkwardly in the water, resembling a walking bat, according to the researchers. Mushrooms of a certain sort have long been noted for the psychedelic effect they impart on those who eat them. This mushroom, Mycena luxaeterna, discovered in some of the last remaining Atlantic forest habitat near Sao Paulo, Brazil, is noted for its eternal bioluminescence. That is, it emits a bright, yellowish-green light, 24 hours a day from its gel-covered stems. Yeah, a day-glow shroom. 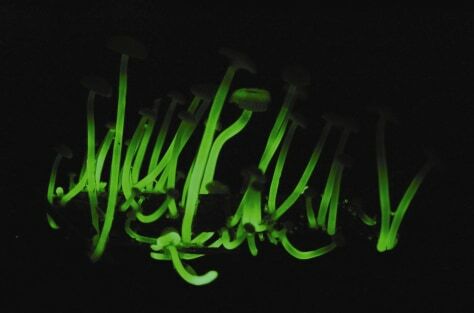 Of the estimated 1.5 million species of fungi on Earth, only 71 species are known to be bioluminescent, noted discovery team member Dennis Desjardin of San Francisco State University. The shroom was named after a movement in Mozart's "Requiem." A nature reserve in South Africa has yielded a new species of cockroach with legs that are adapted for jumping. 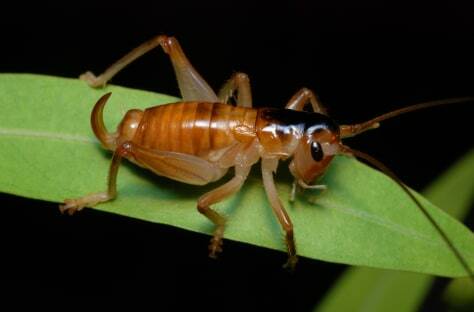 In fact, the insect, named Saltoblattella montistabularis, has a jumping ability on par with grasshoppers. 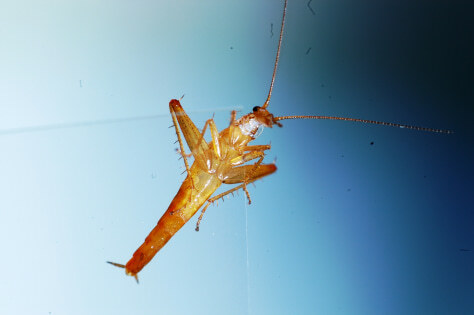 Prior to its discovery, jumping cockroaches were only known from the Late Jurassic, the age of the dinosaurs. In addition to the leg modifications, it has hemisphere-shaped eyes that protrude from the sides of the head instead of kidney-shaped eyes, and the antennae have an additional fixation point that helps with stabilization during jumping, according to researchers. Most new species tend to be small and overlooked, but not this fruit-eating monitor lizard, found in the Northern Sierra Madre Forest on Luzon Island in the Philippines. It can grow up to six and half feet long, tipping the scales at a rather light weight of just 22 pounds. 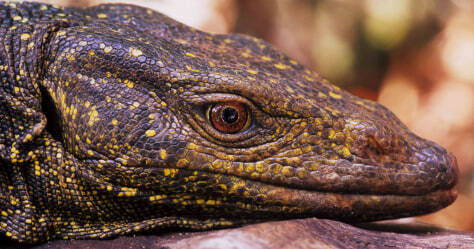 The forest lizard, named Varanus bitatawa, is brightly colored with stripes of gold flecks. Its scaly body and legs are a blue-black mottled with pale yellow-green dots and its tail is marked in alternating segments of black and green. The lizard may have missed detection by scientists until now because it spends most of its time in trees. However, it was known to the local hunters and is already a flagship for conservation in the Philippines, according to Arizona State University. An antelope from West Africa was officially described in 2010, though it was already well-known and exploited by humans. It was discovered for sale at a bushmeat market, a "sobering reminder of the mammalian species that remain to be described," Marc Colyn from the University of Rennes and his colleagues wrote in the journal Zootaxa. They named the antelope Philantomba walteri or "Walter’s Duiker" for the late Walter Verheyen, in honor of his work on African mammals. Verheyen reportedly collected the first specimen at Badou, Togo, in 1968. Glomeremus orchidophilus — a raspy cricket — made the top 10 list for its distinction of being the only pollinator of the rare and endangered orchid Angraecum cadetiion Réunion in the Mascarene Archipelago in the Indian Ocean. The scientists who made the discovery wrote that this species, which belongs to a subfamily of crickets that make a raspy sound, is the first clearly supported case of orthopteran-mediated pollination in flowering plants. Robert Coffan / Southern Oregon U. 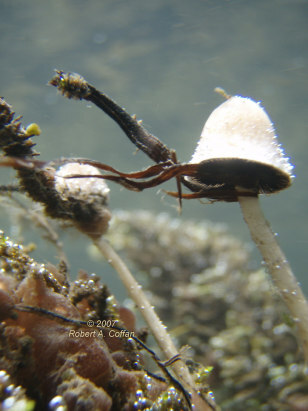 Another weird mushroom made the top 10 list for 2010: a gilled shroom named Psathyrella aquatic, which was found in the cold, clear, flowing waters of the upper Rogue River in Oregon. Researchers observed the mushroom for 11 weeks, during which time it fruited. This makes it the only mushroom known to fruit underwater. Rounding out the top 10 picks is an orb-weaving spider from Madagascar that was named for Charles Darwin: Caerostris darwini. The webs of Darwin’s Bark Spider have been found spanning rivers, streams and lakes. 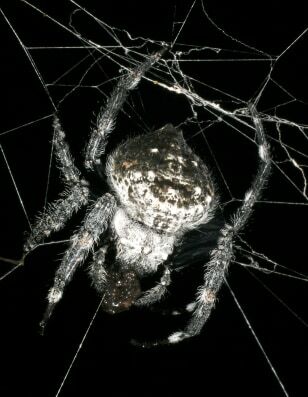 In one instance, a web stretched 82 feet across a Madagascar river with at least 30 insects trapped in it. In addition to the size of the webs, the silk spun by these spiders is more than two times stronger than any other known spider silk and reportedly 10 times stronger than a similarly sized piece of Kevlar.